Since peaking during the late 1990s during the dot-com boom, Cisco Systems' (NASDAQ:CSCO) share price has largely gone nowhere. In fact, the share price is still less than half of what it was during the excesses of the time. That serves as a reminder to always pay attention to valuation in regards to the fundamentals of the business when making any investment. Cisco has continued to chug along slowly, but surely and has transformed itself into a blue-chip tech company. In 2011, Cisco initiated a dividend and has grown it every year since. 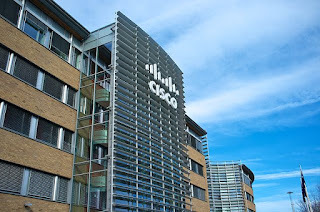 With earnings on tap this week, as well as a likely dividend increase, I wanted to examine Cisco to see if some of my investment capital needs to be devoted to this cash cow. A company's dividend history gives a great glimpse into the strength of the company. It takes a high-quality company that successfully defends and grows its business over time as well as a management team that is willing to reward shareholders with cold, hard cash. That doesn't happen by accident. Great post, thanks! Will you buy more into Cisco?